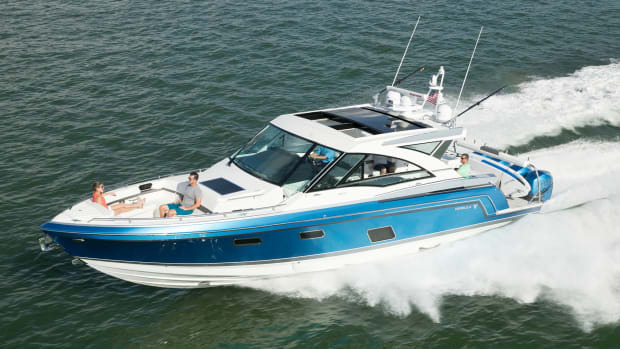 Versatile by design, SeaVee's new 290B is trailerable, stable and a performer through and through. There wasn’t any time to panic. When sea-trialing a boat with Capt. Bill Pike, there’s no time for anything, really—especially if it’s “a-goin’ machine,” to use an expression Bill is quite fond of. You just grab the nearest handrail and hold on. Fast. 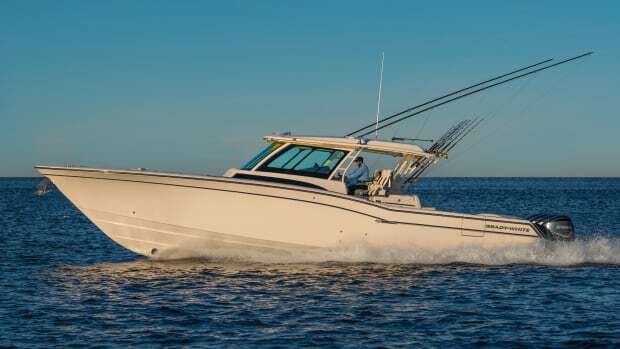 The boat was the new SeaVee 290B, a trailerable, stable performer that’s versatile by design and built to take anglers out to where the fish are biting no matter the offshore conditions. Before the test, Bill and I were discussing the boat’s build during the Miami International Boat Show at Virginia Key with John Caballero, sales and marketing director of SeaVee Boats. 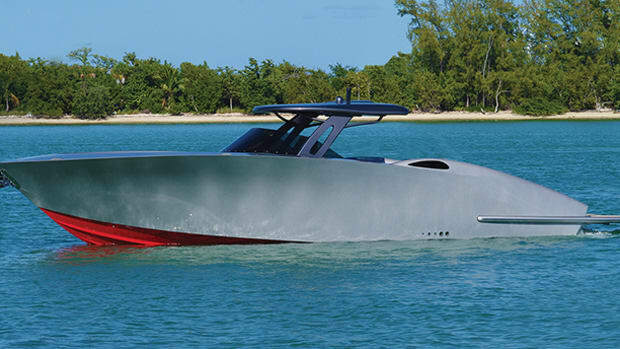 The 290B’s fully cored hull, stringers and bulkheads are resin infused simultaneously, thereby creating a primary bond between them for a fast, efficient and quiet ride. 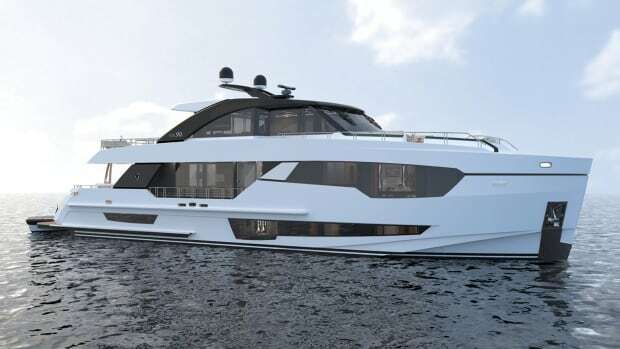 (SeaVee stands behind its construction techniques by offering a 10-year warranty on the hull.) 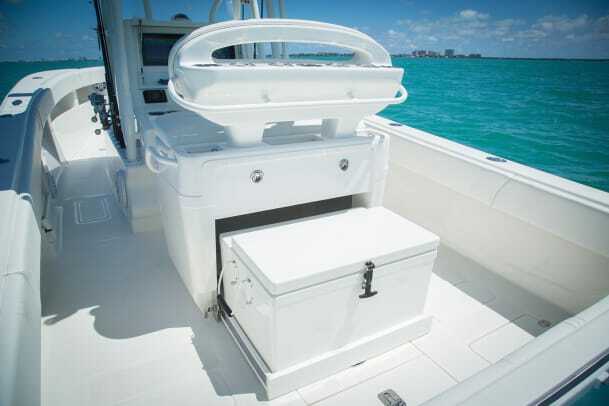 John jumped down into the forward 110-gallon fishbox for emphasis: Everything on board was solid. 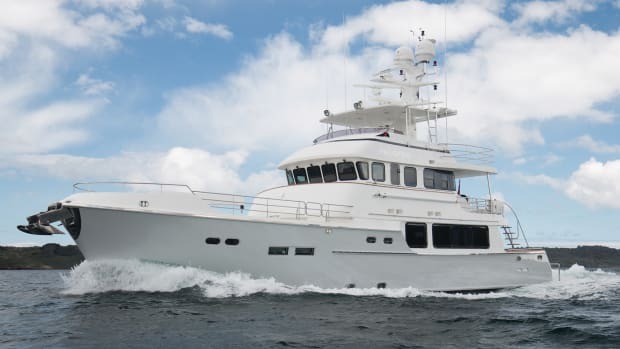 This particular 290B featured plenty of stowage options from lockable wing boxes forward to starboard and port to transom stowage. 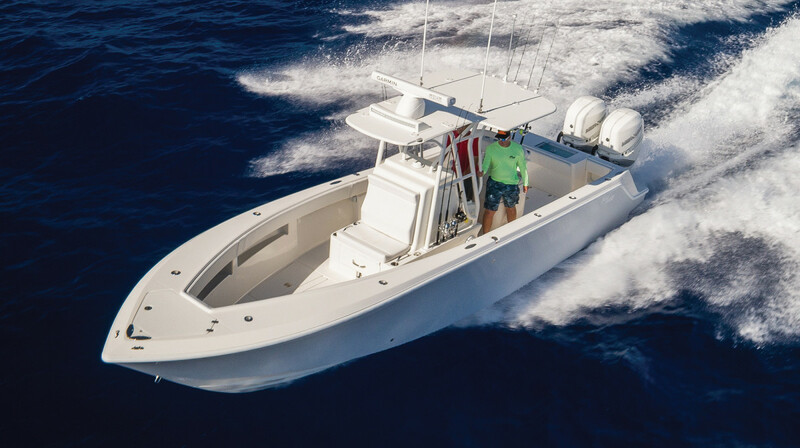 Though our boat was classic white, it’s offered with at least nine factory gelcoat colors, so customers have plenty of options to choose from when customizing their boat. Founded in 1974 by Miami native Capt. 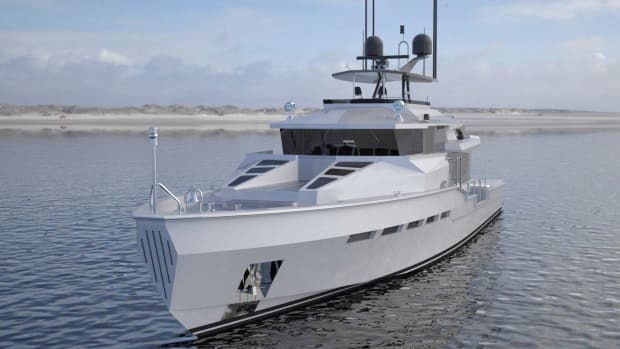 Don McGee, SeaVee boats have long been built for bluewater fishermen. But a recent rebranding has given the company a new post to hang its hat. 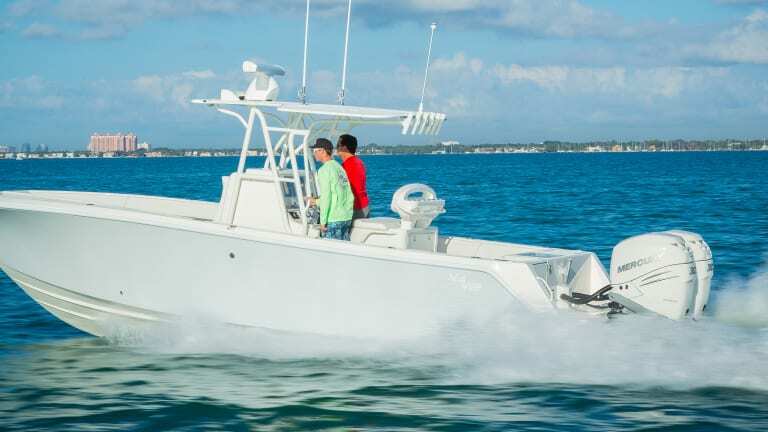 While it still builds fishing machines, the company’s deep stable of center consoles is now offered with a bevy of customizable options, including bow seating and electric sunpads, aft sofas and more, which are all geared toward the owner who wants to take family and friends out on the water for a fun day of cruising. I barely had time to put down my notebook and grab a handrail before we were gunning for the horizon. SeaVee claims the 290B planes at 13 knots, and that sounds right: We jumped onto plane almost instantly. 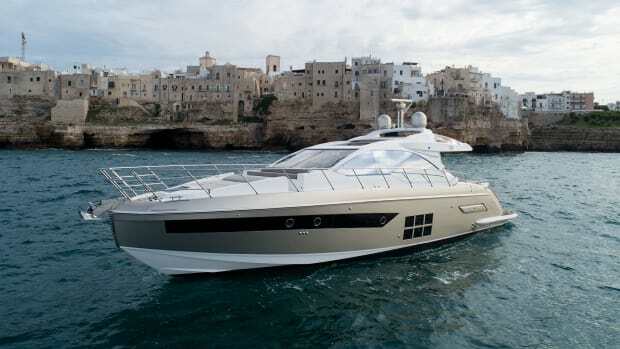 The boat’s deep-V hull with 25 degrees of transom deadrise and sharp angle of entry combines to create a smooth ride, and though we aimed the bow at numerous wakes (read: challenge accepted! ), the five people we had on board never once got wet. 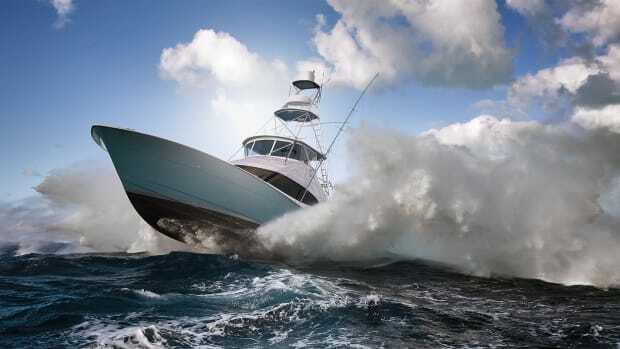 Our 290B was rigged with twin 350-hp Mercury Verados and with the hammer down we hit 52-plus knots. I don’t think Bill stopped smiling once. DISPL. (w/o engines): 5,900 lbs. 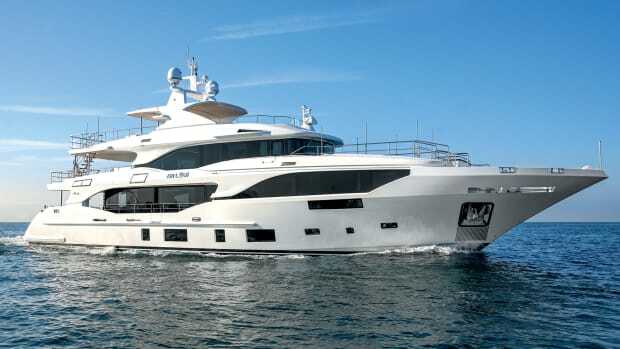 Our live video from the 2018 Miami International Boat Show aboard the SeaVee 290B.